For years I’ve had my eyes on Beacon Mountain but the time was never quite right. I always seem to succumb to the pull of other options in the Hudson Highlands. 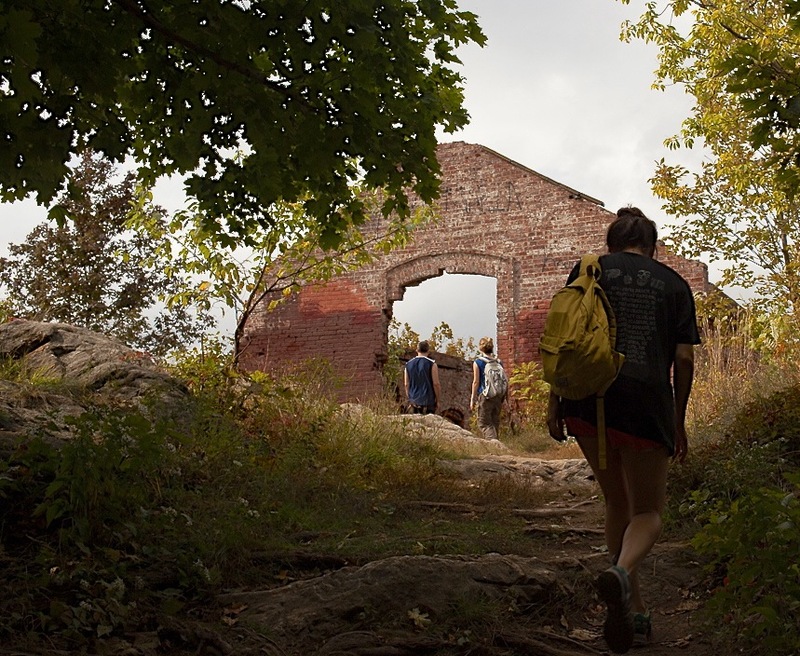 Breakneck Ridge, just to the south, is one of the most highly regarded day hikes in New York and on many lists as the first choice in the area. South of Breakneck is Anthony’s Nose and across the river Storm King Mountain ascends straight out of the river at an impossible clip. I put those options aside, as my hiking partners called in late. But even with our casual 10am start, I knew that the A-team was ready for a challenging loop. Mount Beacon is a storied prize. 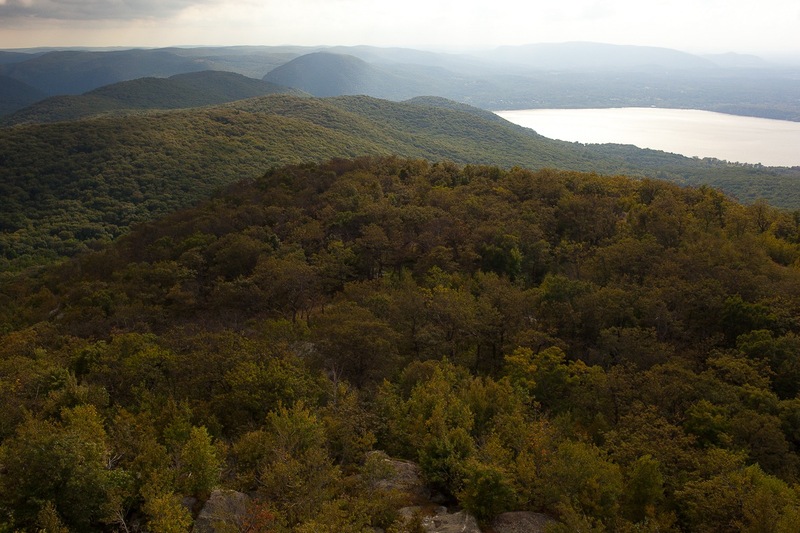 During the Revolutionary War, continental soldiers lit signal fires on the peak to warn patriotic enclaves at West Point of British troops approaching on the Hudson. The mountain played a part in the history of my family too. My parents, New York City teachers of modest means, contemplated buying the short lived Dutchess Mountain ski area out of bankruptcy with a large group of friends. They were hippies with a pipe dream stuffed with the noble intentions of keeping downstate skiing alive. I first saw the mountain in 2001 on a trip to the well regarded minimalist museum, DIA: Beacon. I asked my parents about the nearby mountain and heard the stories of skiing there. It must have been quite a treat, because even at a modest 1600 feet above sea level, it’s extremely steep, and the views are second only to those from the craggy cliffs at Breakneck. As the Hudson is still a coastal estuary at this point, it makes full use of the vertical. It’s almost as if the peak is the Highlands’ own Mt. Washington, or at least it was until something changed in the city of Beacon. 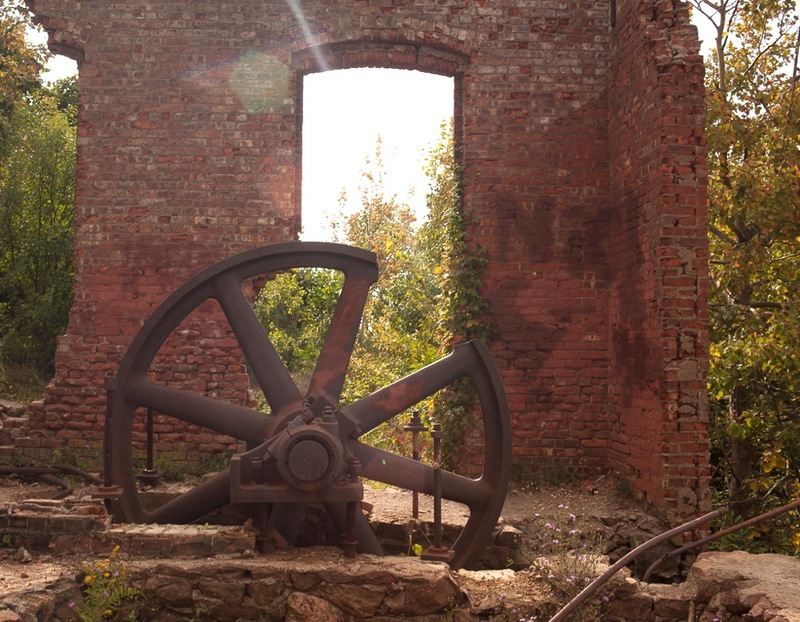 At some point the money and interest in the property dried up and all that remains are the ruins of its impromptu heyday. On this day we weren’t the only group going up for the view, and the parking lot was full as we started our hike up in mid-afternoon. If I lived in Beacon, I could see doing a bee line to enjoy the view at the ruins every day after work as a short and intense hike, but the mountain has far more to to offer to the explorer with more time. This is especially true if you appreciate a little bit more solitude while on the trail. The ruins have a great view and the crowds tend to linger there and then head back down. We pushed on to the fire tower in solitude and climbed up to face the “Is that all you’ve got, god?” winds and the panoramic view of Fahnestock and Black Rock Forest. My hiking companions thought this would make a good place to turn around, but I knew better. We pushed onward, past the reservoir, towards Beacon’s secondary peak Lamb’s Hill. In our hurry we ended up a bit off target on a woods road. This wouldn’t have been a big deal, but my “plan” involved being on top of Lamb’s Hill for sunset. We were now behind schedule, and our group was a little ragged after far more hiking than expected. We made it to Lamb’s Hill after backtracking, and got to the steel deck stairs just before it got really dark. The air was so clean, and we’d had the woods to ourselves for hours. It’s tough to ask for more. I’m always up for an ambitious hike, and finding the tower bases from an old surface lift and some potential ski trails made the day as good as any I’ve had since the ski season ended. Afterward, we stopped in the town of Beacon to find the place packed with lines out the door at every restaurant. Times have changed, but the need for a map, compass, and a few headlamps, never does. Great report. 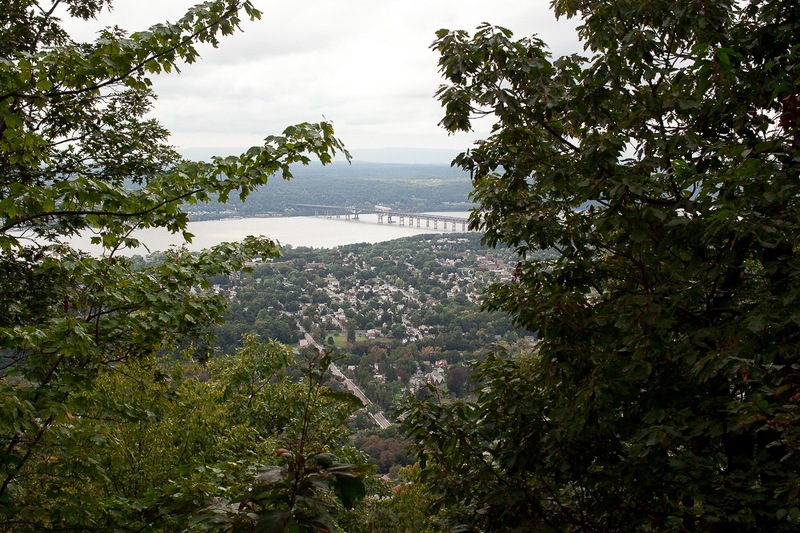 When I lived in NYC, I used to hike Breakneck several times a year but never made it to Beacon. Interesting to hear that your father had dreams of reviving Dutchess. It sounds like many people had that idea. Nice writeup. 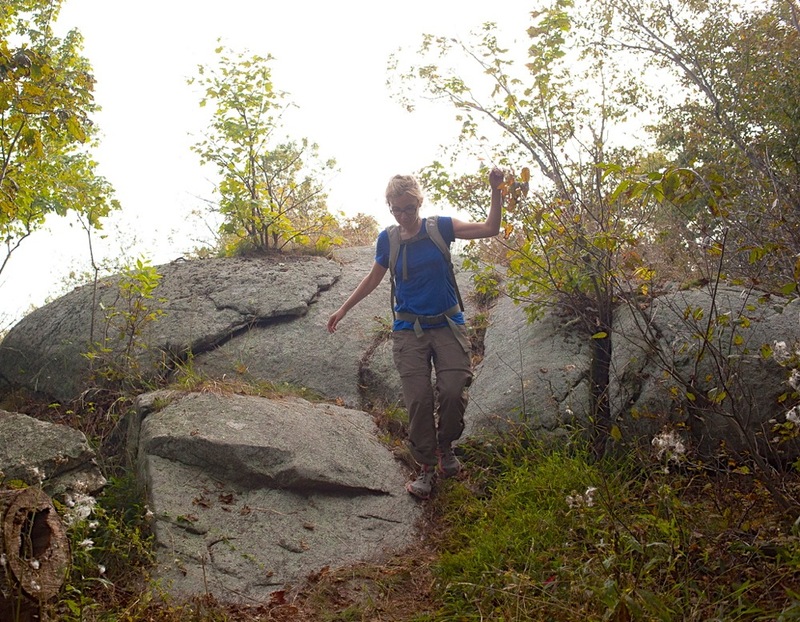 Back in the day, I hiked Breakneck Ridge a couple times. Now I have to get back up there for Beacon Mountain. Seems like the pied piper of NYC is always drawing people into some kind of adventure. Great photos, as usual. By “many people had that idea,” James is putting me into that category. In the late ’80’s, I put together a business plan and teamed up with a business associate to buy the parcels at the bottom of Beacon from an East Fishkill insurance agent who owned most of the bottom half, and investors with a tree farm (i.e., tax dodge) who owned the top half. 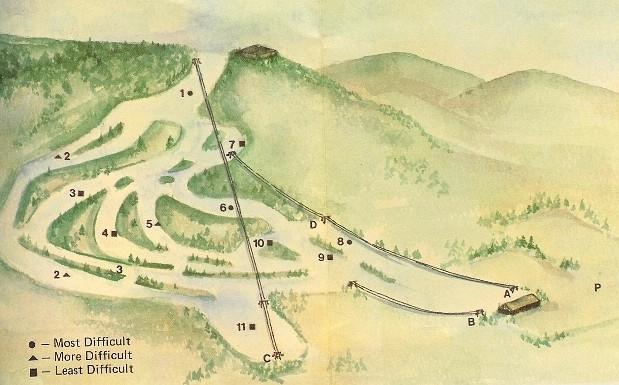 The plan included expanding by adding two trails to the west, which would have been fairly equivalent to Bear Mountain at K’ton in pitch and length. Also, we were hoping to expand east, which would have raised the verts to about 1,300. In the end, we ere stymied mainly by the owners of 5-10 parcels we would have had to buy at the bottom to fully build out. The top was later donated to a conservation organization for “forever wild” status. Otherwise, picture 1,000-1,300 verts, great terrain for a local hill, 2 miles from a Metro North stop and 80 minutes from Manhattan by car. I still have the biz plan. That’s the cog house in ruins, pictured. Excellent write up- It was good running into your group at the end of the hike. It sure would be nice to not only bike, but ski Mt. Beacon. If it ever snows again like it did in January 2011 when the snowpack was 3 feet deep, I am there! I MOVED TO BEACON IN 1996 ONE YEAR, AFTER I BECAME A PRIEST WESTERN RITE ORTHODOX FAITH, I LOOK TO THE HILLS OF BEACON, I WISH ONE DAY I CAN WALK UP TO MOUNT BEACON. BEACON IS A GREAT CITY, BUT THE PAIN OF THE PAST, WE MUST LOVE EACH OTHER AND MOVE ON, THIS COUNTRY IS NOT TRADITIONAL CONSERVATIVE BUT I REMEMBER THE GREAT PRESIDENT RONALD REAGAN, I LOOK UP TO THAT CITY ON A HILL.